Lissa Schneckenburger, Clem Snide, Nell Robinson, Arborea & more! New projects from folk artists previously celebrated here on Cover Lay Down continue to spring forth into the ether and into our ears; with our archives permanently hosted off-site at The Internet Archive’s Wayback Machine, any opportunity to bring these beloved names and voices back into the mix is especially welcome. Today, we add to the growing canon of delights with new releases from several perennial favorites. First featured here way back in 2008 as part of a look at the new tradfolk revival in the American Northeast, “New England style” fiddler and folk singer Lissa Schneckenburger has made several strong albums of traditional and dance music, and often performs with fellow local scenesters Laura Cortese and Hanneke Cassel as Halali, a fiddle trio which explores stringfolk traditions from around the world. 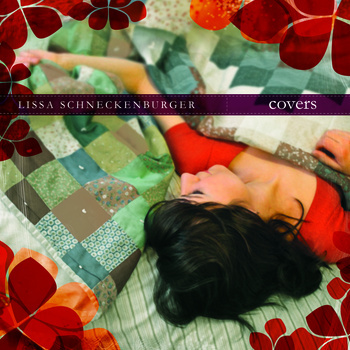 A graduate of New England Conservatory, she is known among her peers as a talented artist, and a careful craftsperson and ethnomusicologist, whose recent exploration of the roots of the Downeast traditions which she first heard as a young girl growing up in Maine resulted in a two-part project, 2008 release Song and 2010 companion release Dance – highly recommended albums which bring new nuance and modern interpretation to the ballads and fiddle tunes of Appalachia and beyond. Schneckenburger’s newest album Covers, which drops on CD June 6 but has just become available for purchase on Bandcamp, benefits greatly from her talent for deep study, revealing unplumbed depths in the transformative yet true reconstructions of a diverse set of songs that define the various radio-play generations that arose in the second half of the 20th century. But like many of her “new folkscene” compatriots, Schneckenburger also knows how to use the space between notes to her advantage – both the silences, and the resonant echoes as notes fade – and here this means heavenly, luscious transformations of songs otherwise known through the distinctive voices of Jim Croce, Simon & Garfunkel, Bob Dylan, Mark Knopfler, Tom Waits, Stephen Merritt and more. Sensitive without sentimentality is a tough balance to find, but with deceptively simple settings, clear-as-a-bell fiddle strains and soundscapes, and a warm alto, Schneckenburger makes it seem effortless. The result is a potent mix, bright and soaring and sweet, that crosses genre borders from Americana and folk rock to traditional and contemporary folk. As a bonus, Aoife O’Donovan, bassist Corey DiMarino, and cellist Tristan Clarridge sing and play on several tracks, making this surprisingly sparse and airy album the closest thing we’ll get to a Crooked Still reunion for a while; other guests familiar to long-time readers include Ruth Ungar and Mike Merenda (who also recorded and mixed the album), and Stefan Amidon, brother of Sam and founding member of new countryfolk band The Sweetback Sisters. Check out two heartwrenching favorites below (plus a bonus track from tradfolk collection Song), and then head over to Bandcamp to stream the rest and download for just 7 bucks. 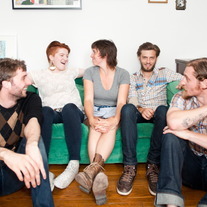 We championed deepwoods folkduo Arborea back in 2010 for their “echoey, delicate, almost nufolk sound”, and previously for their powerful contribution to a 2009 Odetta tribute, but as I pointed out to guitarist and songwriter Buck Curran when he contacted me about their newest release, anything new from this married couple is good news, indeed – and sure enough, Fortress of the Sun, which was released April 30 to honor NYC label ESP-Disk’s 50th anniversary, is a wallop to the senses, with fluid movements, abstract poetics, Shanti’s soaring vocals, and enough depth and atmosphere to drown in. 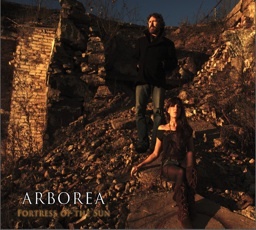 Arborea’s influences are evident in their coverage – in the past, we’ve heard them take on both Robbie Basho and Tim Buckley, and several traditional folk ballads, showing the straight line between the marginalized and primitive post-modernists and the vast potential of the old ways wrought anew. And Fortress is no exception: a spine-chilling Cherry Tree Carol and a newly-penned lyric for old Irish tune When I Was On Horseback that resets the song as a history of the death of Southern Calvary General JEB Stuart near Richmond in 1864 fit right in among a collection on the knife-edge of tradition and experimental delicacy that rivals the best of Sam Amidon, Devandra Banhardt, and other indiefolk inheritors of the Vashti Bunyan and Karen Dalton branches of the folkworld. Order it at ESP-Disk in LP or CD formats, and your digital download of all tracks will be filling your ears and soul in minutes. 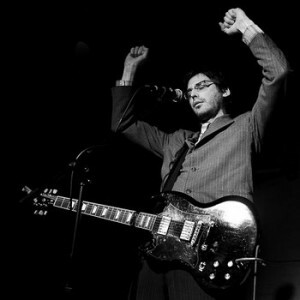 Our 2011 full-length feature on the folkier side of Eef Barzelay was a near inevitability, given the oddly broken tenderness with which the former leader of indie band Clem Snide had turned to the work of such artists as Christina Aguilera and Eddie Money since breaking up the band after after an ill-fated post-9/11 tour left him disillusioned with the industry; later that year, we named his under-the-radar EPs covering Journey and The Transmissionary Six the Best Tribute EPs of 2011, citing their ragged, heartfelt solo interpretations, and celebrating the way the latter collection provided an entry into the work of the obscure duo through coverage, and we’re happy to report that the Wayback Machine has all songs from both features linked above still live for your downloading delight. But although nominally recorded under the old band moniker, the Israeli-born singer-songwriter’s recent pursuit of solo fan-funded coverage continues to focus and mature, and nothing provides better evidence than the surprisingly cohesive flow that takes us through Fan Chosen Covers, Pt. 2, a name-your-price collection built on songs chosen and funded individually by donors released April 30 on Bandcamp. From the almost medieval drone of All Tomorrow’s Parties to the plainspoken simplicity of Carole King & Gerry Goffin classic Will You Still Love Me Tomorrow, the well-ordered sequence offers a journey through angst and pain into peace and possibility, with pensive, newly deconstructed takes on everything from the Indigo Girls, Leonard Cohen, Neil Diamond, Paul Young, and The Church in the mix. Even a slightly tongue-in-cheek version of the theme song to Welcome Back, Mr. Kotter barely disrupts the flow of earnestness. And the new melody Barzelay has written for Bonnie Raitt tearjerker I Can’t Make You Love Me is a revelation. Email Eef if you want to commission a cover of your very own for a very reasonable rate, or just enjoy the fruits of other fan’s requests vicariously over at Bandcamp after checking out the samples below. And if you do download, remember to give a few bucks in return, if you can: the fan-funded model only works if those who can, do. 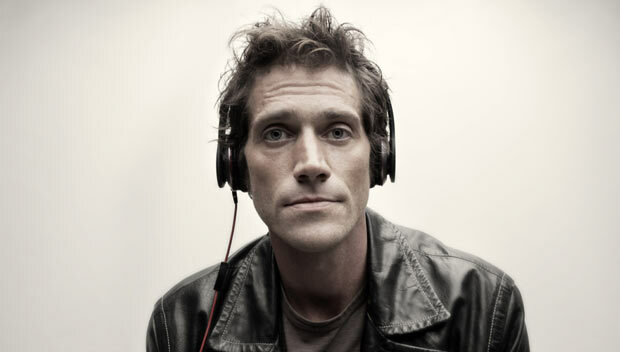 As we’ve noted here before, the shift from records to digital media in the past decade has led to more fleeting affection for songs and artists, over-collection, and a tendency to shuffle – all listening and archival behaviors which many have cited as a death knell for the album. But Americana singer-songwriter Nell Robinson seems to have either missed the message, or is determined to push back against the modern. Her 2011 concept album On The Brooklyn Road, which we featured back in July of 2011, raised the bar for personal and historical exploration on a grand scale, impressing us with its perfect balance of classic country covers, sepia-toned originals, and octogenarian interview clips. And her ongoing work with guitarist Jim Nunally and others channelling the stories of soldiers with music “from the Revolutionary War to the present, interwoven with 250 years of letters, stories and poetry from Nell’s Alabama family,” offers an equally powerful experience, holistic and whole, unifying the soldier’s plight across time and space. 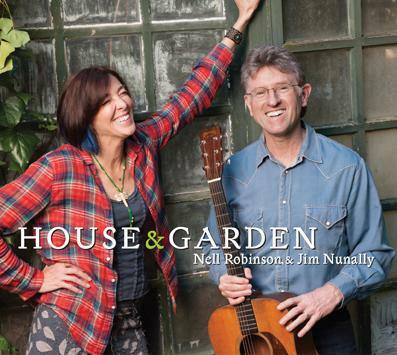 Now Nell and Jim return with a tribute to the garden, a lighter but no less substantive subject, and unsurprisingly, though short and sweet at 13 tracks and 33 minutes, the duo project is no less comprehensive, from its plant-and-grow seed packet CD inserts to the breadth of darkness and light channelled through the sheer joys of warm sun and wind and rain, and the metaphors of dirty hands and growth, homestead and harvest. Their voices blend like old friends on a backporch, with fingerpicking that dances and an old-timey twang that invites a smile, and shades of everyone from to Kate Wolf and Patsy Cline to The Louvin Brothers and Bill Monroe himself in the echoes that linger. And to our joy, in among the originals on House & Garden, the pair channels Dolly Parton and George Jones with such grace and gentle gravity, the old songs fitting in snugly like well-curated heirloom varietals among the new blooms and the tall, cool grasses. A bounty indeed. Back in the New England scene, Boston-based band Joy Kills Sorrow – one of our favorite stringfolk bands here at Cover Lay Down, helmed by Berklee grad Emma Beaton, one of our favorite folk voices, and with new members with some serious chops on acoustic guitar and stand-up bass since we last mentioned them here – releases a grand teaser of a Postal Service cover this week as a possible leading indicator of a shift in sensibilities towards an even more raucous Americana sound on their upcoming EP Wide Awake, due to drop June 4 on preeminent local label Signature Sounds. As I noted on our Facebook page late last week, I tried taping a live version of this high-energy acoustic stringband take on Such Great Heights last summer at a bluegrass fest, and failed due to crowd noise. Happily, the newly-released version is perfectly clear and crisp, a bouncy early promise of summer delight sure to thrill fans of Mumford & Sons and The Avett Brothers. Can’t wait to hear the whole EP!